Whatever your size, the Ford Fiesta ST has a driving position to suit. The range of adjustment from the steering wheel and seat, plus the amount of headroom on offer, is excellent for such a small car. You sit slightly higher in the Vauxhall Corsa VXR and the seat doesn’t slide as far back, which can prevent very tall drivers getting comfortable. It’s also disappointing that there isn’t a footrest next to the clutch pedal. Both cars have Recaro sports seats that impress in different ways. 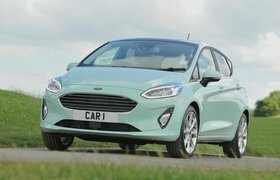 The Fiesta’s fit more snugly around your sides and as such offer better lateral support – particularly around the shoulders – but the Corsa’s are more comfortable over long distances. 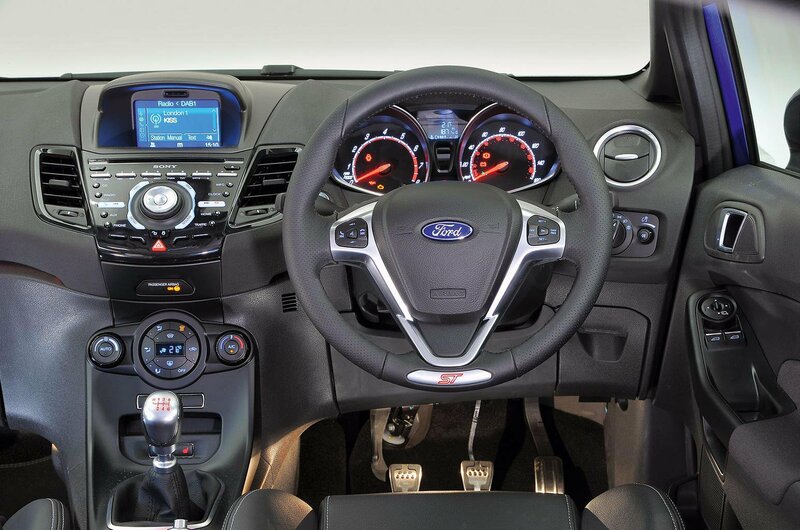 The Fiesta’s main bugbears are still its dashboard ergonomics and quality. Its small infotainment screen looks old-fashioned compared with the Corsa’s 7.0in touchscreen and isn’t as easy to use. Most of the switches and buttons feel a bit low-rent, too, although the ST’s dashboard is soft to the touch. By comparison, the VXR’s interior looks smart and modern. Chrome highlights and gloss black surfaces help differentiate it from lesser models in the Corsa line-up, and the materials throughout the cabin – with the exception of the cheap-feeling air-con controls – feel that bit more premium. However, it’s a pity that, apart from the seats and aluminium pedals, neither car looks overtly sporty inside. Head room is similarly generous in both cars’ rear seats, although the Corsa has marginally more rear leg room. However, the VXR’s front seats don’t tilt forward as freely, which makes it trickier to get into the back to start with. Annoyingly, too, after letting someone in or out of the rear in either car, the front seats don’t return to their original position; you have to reposition them manually each time. The two cars have similar-sized boots that will easily swallow a couple of weekend bags and 60/40 split-folding rear seats for those occasions when you need to carry bulkier items.